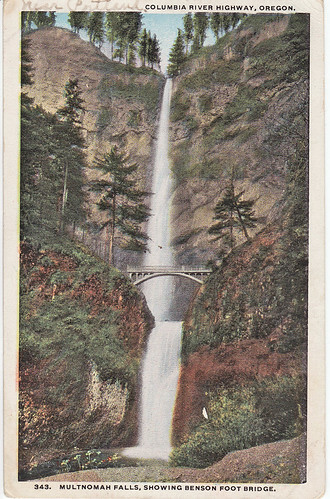 Here's a postcard from 1903 from Multnomah Falls, here in Oregon. 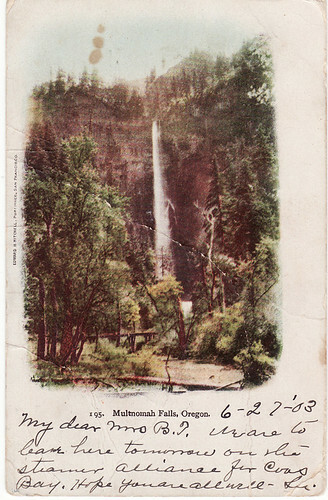 Here is a postcard of the falls from 1918. 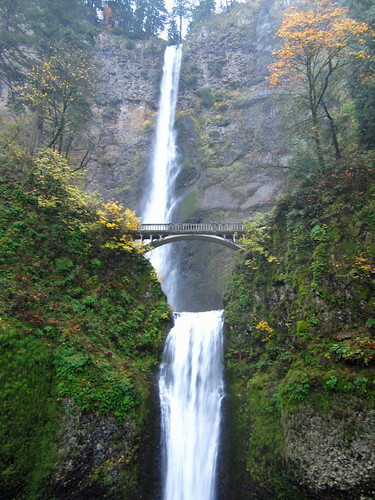 Here is a pic of the fall that I took yesterday. 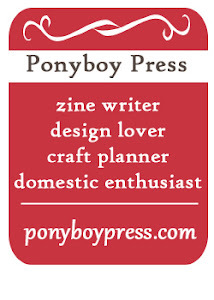 More pics of the trip to the falls on my other blog, PonyBoy Press.